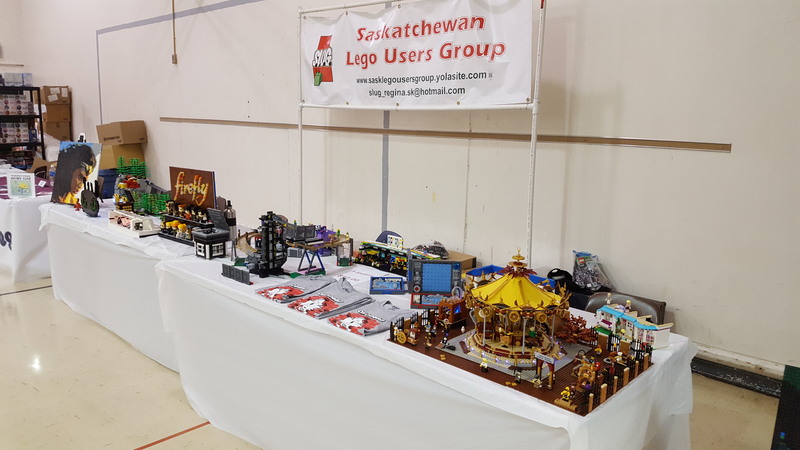 Our second-annual showcase in Estevan was a big hit! We had great builds from Trevor, Jeff, Scott, Waylon, Jillian, Adam, Tom, Chris, Ray J., Kylee, Caleb, Karen, Cooper and Jim. This was also the final showing of our Canada 150 Map. We returned to Ignite! this year with a host of creations by Jeff, Colby, Trevor, Jim, Rick, Kylee, Lorelie and Adam. 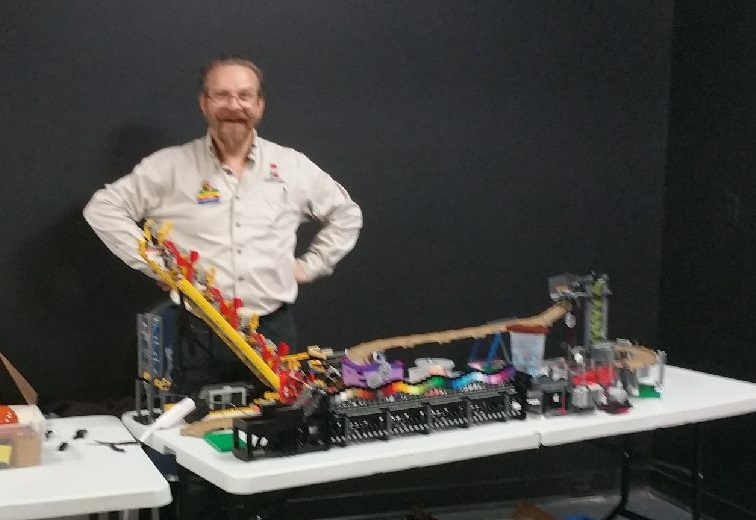 We had a good showing at the first year of this event with Rick, Jim, Trevor, Lorelie, Adam, and Jeff building everything from Firefly Brickheadz to Great Ball Contraptions. 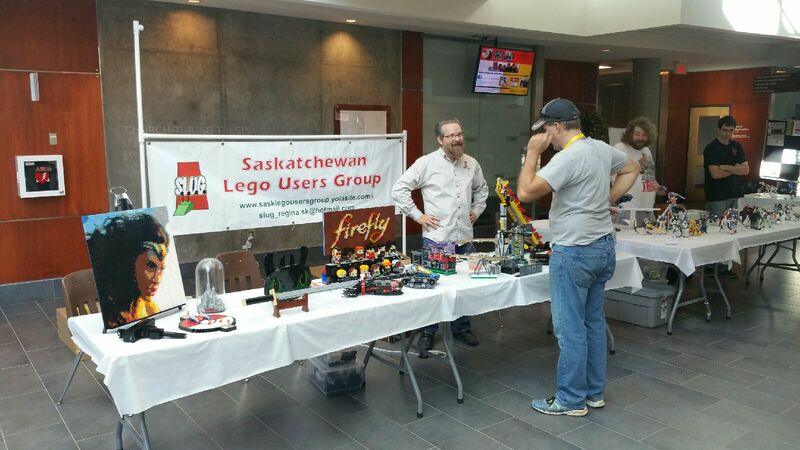 Our second appearance at the Saskatoon Comic and Entertainment Expo was lots of fun! On display were builds by Blake, Ray, Jim, Adam, Nicole, Trevor, Trent, Andre, Caleb, and Kylee! This was our second year at the event, whose focus is mainly Anime-styled themes. We came with a number of builds by Jim, Lorelie, Jeff, Colby, Rick and Adam. Our sixth annual showcase of brick-built creations was HUGE this year! 48 participants brought hundreds of creations to fill the Western Development Museum this year! Despite the warm weather, thousands of visitors were treated to large and small builds from Town to Space, Art to Conflict! 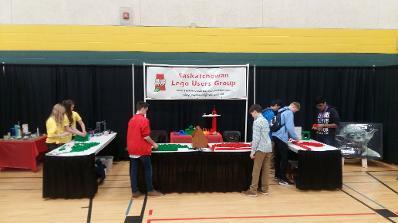 Regina played host to the Canada-Wide Science Fair this year! During the STEAM event (showcasing Science, Technology, Engineering, Arts and Math), we challenged visitors to create a brick-built bridge that could withstand 10 kg. Jim, Sharif, Adam, Wes, Lorelie and Jeff were on hand to issue the challenge, along with a handful of our creations. This was the first year of Regina Railfest, and SLUG was there in force with a large display area! Creations were displayed by Trent, Scott, Jeff, Andre, Sharif, Cooper, Chris, Lorelie, Waylon, Jenn, Ray J., Wes, Adam, Ray M., Jim, Adele and Tim! It was also a stop for our Canada 150 map! What a show! This year Andre and Caleb represented the group at the Hobby Show! They displayed many creations including our Canada 150 map! 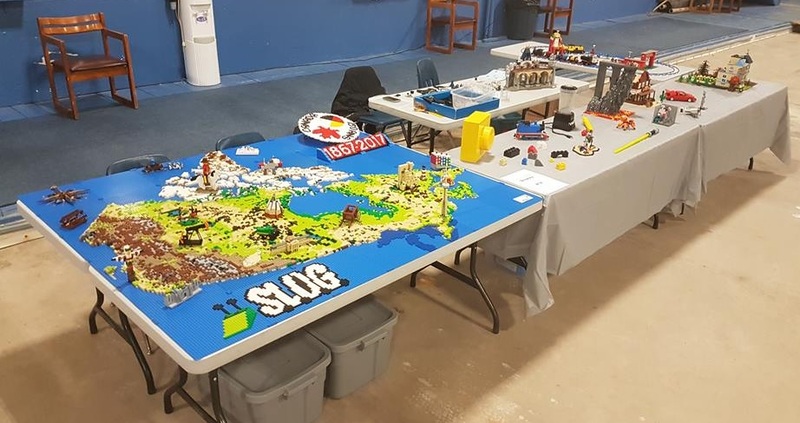 Our appearance at the Train Show this year included three themed train layouts: Trent, Jeff and Lorelie showed their World War display, Scott had his 3-tiered winter scene, and Adam, Caleb and Andre displayed their Johnny Thunder layout! There were also five tables showcasing creations by Ray M., Ray J, Sharif, Tim, Adele, Jeff, Adam and Caleb. We returned to the Train Show in Saskatoon with a colossal 50' display! This included three train layouts by Scott, Adam, Caleb, Andre and Jeff. Many other creations by Jim, Ray M., Ray J., Dave, and Blake were on display! This was also our first showing of our Canada 150 map!